JWF Fund, managed through fees from corporate and individual members and donations, is the initiative that supports grass-roots organizations which address water-related issues in developing countries. Last year is the 11th year since its establishment in 2005. There were 41 applications from 12 countries for Last year's calling. As the result of selection, we have decided to provide grants for 6 projects from 5 countries. 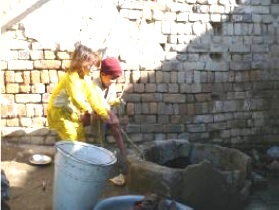 Only 40% of urban slum populations have access to use shallow tube well for their drinking water and other purposes. People defecate in open places that pollute water resources and environment in the urban slums. Poor sanitation, polluted water, and unavailability of potable water bring various water borne deceases such as Diarrhea, Cholera, and Hepatitis to the urban slums which are extremely disadvantaged in terms of accessibilities to clean water and sanitation. ・10 rainwater harvesting tanks were installed. ・2 communal rainwater harvesting tank was installed. ・A total of 53 people are getting benefit of household level rainwater harvesting system. ・A total of 130 Households are getting the benefit of communal rainwater harvesting. ・A total of 10 community awareness initiatives were brought where 513 participants participated. 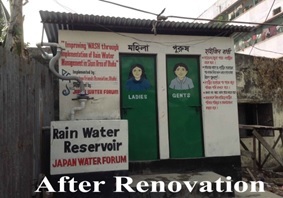 ・A total of 112 people got access to sanitary latrines. Community people drink, wash and cook with running water of the river XEDZO which is polluted with all manner of human, industrial and household wastes by riverside residents. The households are not equipped with latrines. People defecate in the open. The use of dirty sources of water, lack of water supply and the poor sanitation facilities expose people, especially women and children who are the most affected to infections such as cholera, dysentery, diarrhea, intestinal worms and typhoid fever. 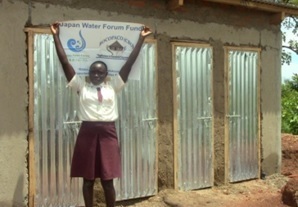 ・1 shallow well, 1 ECOSAN toilet, and 1 hand washing facility were installed. ・3 workshops on water and sanitation and 3 awareness campaigns were held. 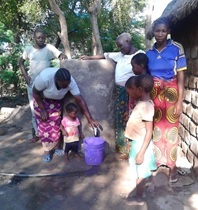 ・A total of 225 people (80 women, 45 men and 100 children) could have access to clean water and safe sanitation facilities and sensitized to personal hygiene and hand washing every day. ・3 masons were trained in well and ECOSAN toilet building skills. 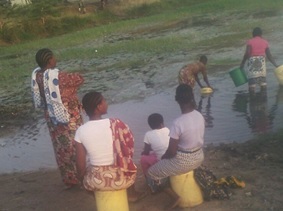 ・5 Health Promoters were trained in the practices of good hygiene, and communicating health messages in the community. ・1 Water Committee was established and seven members trained to maintain the system. The water and sanitation coverage is 30% in major rural areas. The poor state of the water coverage makes many people in the rural areas travel over 3 kilometers in order to access safe water. 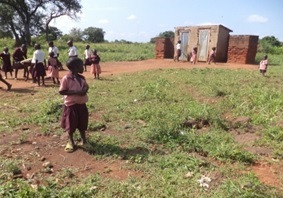 The sanitation situation is even worse, and has made majority of the rural dwellers to be accustomed to using the bushes as for defecating. The poor sanitation in the area has increased the outbreak of tropical diseases such as cholera, typhoid and malaria. ・One sanitation facility has been newly constructed. ・One existed old facility has been rehabilitated. 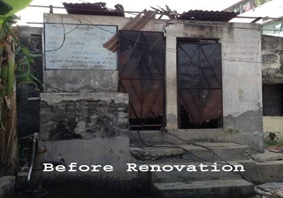 ・A total of 500 people (pupils of Alliance primary school; 270, parents of the pupils; 130, teaching staff of secondary school; 20, visitors to the secondary school; 80) could have accesses to improved sanitation facilities. ・A total of 176 people (102 female and 74 male) attended the training workshops. 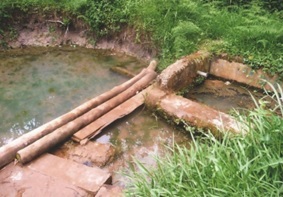 In the community of Kakoro, the major resource of water is an unprotected spring. 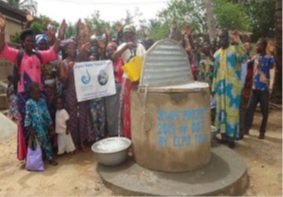 It serves water to a population of 450 households in the community and a primary school of 560 pupils. The poor water and sanitation situation invites an outbreak of diseases such as cholera, scabies, typhoid, malaria, trachoma, jiggers and this condition has brought high mortality rates especially of children. ・Meetings and dialogues were held in three villages to meetings and dialogues were held in three villages. ・Trainings were conducted inviting the expert of health in three villages. Residents in Isandula, Irungu, and Ihimbili villages suffer from the challenge of chronic clean and safe drinking water shortage. Particularly in the dry season, they rely on a dirty pond as a source of water. 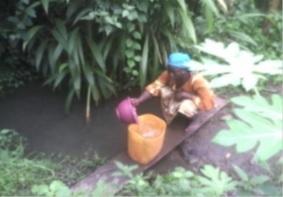 Women and girls in these villages travel about 6km to fetch water from a well. It increases the risk that women and girls will be sexually assaulted, takes away opportunities girls go to school. ・1 bio-sand filter tank has been installed in the community. 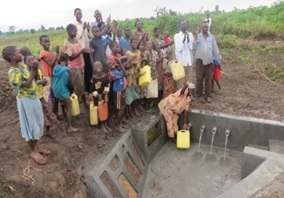 ・120 women and 72 men, and 205 Isandula primary school children could have access to safe and clean water. Surrounded by Kabal River, Jindi canal and a tributary canal, the area is vulnerable to water-related natural disasters. In 2010, a large number of people of the village located near the bank of these canals were severely affected by the flood. Many precious lives as well as crops, houses and drinking water resources such as wells and hand pumps were lost by the flood. Most of the poorest people are still living without clean water resources. ・10 hand pumps were installed. ・10 wash pad were constructed. ・Drain pipes (50 meters each) were installed each hand pumps. ・2 times of public awareness programs were arranged. Thanks to your kind understandings, supports and cooperation, the local grass-roots organizations could have successfully completed the projects and JWF are pleased to report the results of the projects. We hope that we could have contributed to meet the needs of the locals through the JWF Fund 2015. Thank you very much! 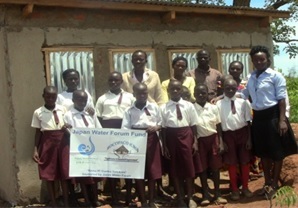 JWF continues to try solving water - related problems through grass-roots activities.